Based in Traverse City, Michigan, Hagerty is the world’s leading insurance and service provider for classic vehicles and host to the largest network of classic car owners. A family business from the start, Hagerty set out to sell insurance that could not be found anywhere else. In 1984, right from their basement, Frank and Louise Hagerty launched the first Agreed Value policy for vintage boats, completely changing the way collector boats were insured. From the beginning, Hagerty has embraced innovation. By listening carefully to clients, business partners, employees and the collector community at large, Hagerty has developed products, services and programs that exceed expectations. The vision for the future of the company driven by McKeel Hagerty, the Chief Executive Officer, gave rise to a strategic decision to form the Hagerty board in 2010. Creating the board ensured Hagerty could access the diverse experiences, skills and perspective that only outside directors could provide to continue to grow the business into a world class company. As a private company, Hagerty has discretion regarding the structure of its board. Initially the board consisted of an equal number of family directors and non-family directors. The board has evolved and family directors are now in the minority. This strategic move adds another level of independence to board operations and provides a high level of accountability. The board has played a critical role in balancing family dynamics among the owners. Like many private companies, Hagerty has a mixed group of working and non-working family members and owners. It is important to assure the non-working owners that the company is being well run and that their resources are being stewarded properly, especially when selecting among competing priorities that require capital investment. The board and the associated governance structure provides confidence and clarity around decision-making. In addition, the board has allowed the business to operate effectively when family conflicts arise that are difficult to resolve in a business setting. Having the board in place during these challenging times gives Hagerty stakeholders assurance that the company is stable and will continue to deliver on its commitments. Over the last several years Hagerty has experienced exponential growth which led to the desire to upgrade the management team and management practices to a truly professional level. The board assisted in creating boundaries between the legacy family practices from the entrepreneurial phase and the newer practices management would need to operate the company going forward. A committed team, led by the Chairman of the Board, Tom Jones, and the General Counsel and Corporate Secretary, Barbara Matthews, has aligned Hagerty’s governance principles with public company standards. 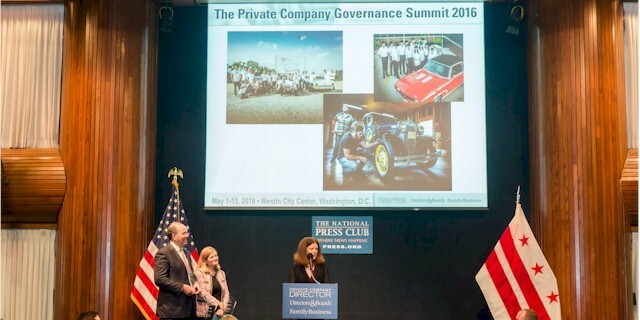 For Hagerty, the pillars of good corporate governance include an intentional approach to agenda development that focuses primarily on strategic discussion, regular board and committee evaluations, succession planning for the board and the top tier of management and an extensive on boarding process for new board members. The impetus behind the creation of the Board was a desire to tap into a diverse set of experiences and insights to support achievement of the company’s strategic objectives. This has translated into a winning approach for Hagerty. For every client for whom I draft a will I also draft at least one other document -- a financial power of attorney (plus, in most cases, an advance directive for healthcare). 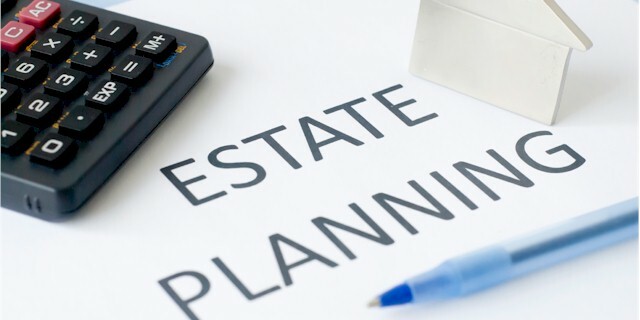 In the estate planning process financial powers of attorney do not, however, get the amount and depth of attention which wills do. After all, a financial power of attorney is typically an “off-the-shelf” kind of document which does not vary much from client to client. Sounds right, doesn’t it? Nothing could be further from the truth. A financial power of attorney requires time and attention so that it complies with each client’s particular needs. By a financial power of attorney a client designates one or more individuals, and perhaps successors, to serve as “agent” or “attorney-in-fact” with the authority to manage the client’s assets, financial affairs and business interests. A power of attorney can take effect as soon as it has been signed or it can take effect at such time as the client becomes incapacitated. In the latter case it is often referred to as a “springing” financial power of attorney because it “springs” into effect if and when incapacity occurs. The financial power of attorney document includes a laundry list of powers which the agent has the authority to exercise on behalf of the client. It typically includes the powers to pay bills, trade securities, sell real estate, hire caretakers and address tax matters. The list of powers also includes the power to handle business interests. For a client who owns an interest in a closely-held business, giving the agent the power to handle business interests is crucial and should be carefully thought through. By giving an agent the authority to manage a business the business can continue in operation even if the client becomes unable to run the business him/herself. The power granted to the agent can also include the power to vote stock or other interests in the business, to deal with vendors and landlords, to explore new markets or business opportunities, to change the type of legal entity under which the business operates and to address tax matters. The financial power of attorney can also include the power to sell the business or to liquidate its assets and terminate the business. Often the same person is designated as agent for all personal financial resources and also for closely-held business interests. But can the same person effectively handle both personal and business matters? If the client’s spouse or child is the agent for personal matters, is that family member qualified and sufficiently informed to make business decisions? Does that individual have the time to be involved with the business? Do the managers of the business know and trust that individual? That of course depends on the level of involvement the family member has in the business and other factors that are specific to each particular client. I often recommend to clients who own interests in closely-held businesses that they have two financial powers of attorney – a General Financial Power of Attorney and a Business Power of Attorney. For the General Financial Power of Attorney the agent might be a spouse, child or other family member. For the Business Power of Attorney the agent might be a co-owner of the business, a manager of the business or a chief financial officer. It could also be the outside accountant for the business or another professional who is familiar with the business and can be expected to exercise good judgment. Of course, under the right circumstances it could also be a family member. In any such event the authority which the agent may someday have can be expansive and have a real and significant financial impact on the operation of the business and the financial lives of the owners and employees of the business. So the client should consider with great care the individual s/he selects as agent under the Business Power of Attorney. It is a good idea in designing a Business Power of Attorney that a limitation be imposed on the scope of authority given to a non-family member named as agent. He or she might be given the authority to operate the business but not to sell or liquidate the business at least without the consent of a family member or another owner or key employee of the business. Even though a Business or General Financial Power of Attorney may never be used, when it is used it will be crucial to the client, to other family members and to business associates. The client and the client’s counsel should discuss and consider carefully the powers granted to an agent under a power of attorney and the circumstances under which those powers may or may not be used. M. Howard Vigderman is co-chair of the Business Department of Montgomery McCracken and chair of the firm’s Trusts and Estates practice. Click here for more director appointments.